Things to do in San Francisco in October include Halloween events, festivals, concerts, and family-friendly fun. 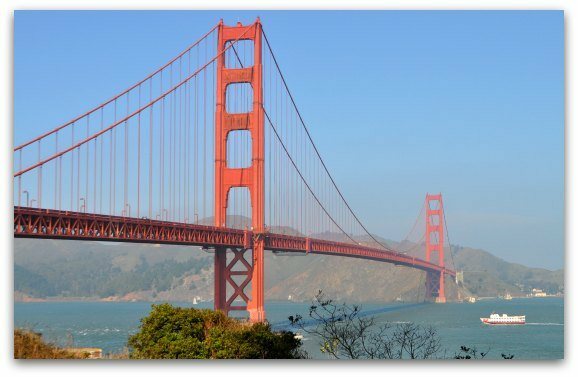 You can also check out some of our famous attractions, visit our museums, or cruise around the SF Bay. In addition, you can spend the day in a nearby location such as Napa, Sonoma, or Muir Woods. You can also reach Yosemite or Monterey in just one day. Read on for more of my recommendations for your visit in October. You will find dozens of things to do in San Francisco in October on this month's calendar of events. Top options include Hardly Strictly Bluegrass, Fleet Week and Open Studios. Other highlights include the Wharf Fest in Fisherman's Wharf and the SF Dance Film Festival. It's also the month to celebrate Halloween and there is no better place to do that than in SF. You will find plenty to do from 21+ parties to kid-friendly activities. October is one of the sunniest months in SF which makes it the perfect time of year to go on a cruise. My top picks this month include the Rocketboat, the SF Bay cruise, and the Sunset Cruise. The Rocketboat is a 30-minute high speed adventure on the water. This isn't about seeing the sights as much as it is about getting a thrill ride. It twists and turns on the water as you listen to classic rock and roll! It's your last chance of the season as it won't run again until the spring. Click here to find deals for this cruise on Goldstar. My second recommendation, the SF Bay Cruise, is the most popular cruise. It runs several times a day, every day of the year. On this 60-minute ride, you get the chance to see SF from the water. The biggest thrill is the cruise under the Golden Gate Bridge. Click here to find deals on this cruise on Goldstar. My final recommendation this month is the Sunset Cruise. Since most days in October are clear, it's one of the best times of the year to catch the sunset. This one also cruises under the Golden Gate Bridge and many offer drinks and/or light appetizers. Click here to find deals for my favorite Sunset Cruise. There is so much to see and do in San Francisco that it can be a little overwhelming. This is why I recommend that you go on at least one or two guided tours. One of the best things to do in San Francisco in October is a guided bike tour. You have the option to ride over the Golden Gate Bridge, around SF's top districts, or from one brewery to another. Click here for a list of my top picks. You will also find some great Ghost Tours this month. Some run all year long, but October is the time when you will find some additional Ghost Tours all around SF. Click here for a full list of those that run all year and those that you will only find this month. My final recommendations is to head out on a Helicopter Tour. With clear skies, it's the perfect time to fly over the city and get the best views from above. These flights typically last around 20 to 30 minutes and offer you an experience you will never forget. 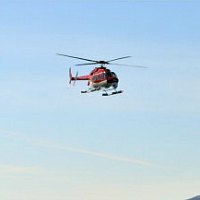 More details on SF Helicopter Tours. Another one of my favorite things to do in San Francisco in October is to head out to a show. This month, you will find several top Broadway shows and other theater productions all around town. Click here for the most up-to-date schedule. The SF Symphony is also on stage in October. They play 7 to 8 shows this month including at least one that has a Halloween theme. Click here for the Symphony schedule for October. If you love the opera, then you will have two to three options this month in SF. All performances are at the War Memorial Opera House. Click here for this month's calendar of performances. The best deals in San Francisco are on Goldstar. 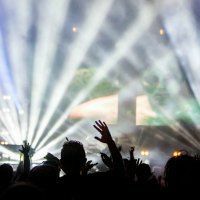 They offer a huge selection of tickets to tours, concerts, and theater productions at up to 50% off the full retail price. These are just some of the top picks this month. While you are here, make sure to head out on a day trip to one of several amazing places nearby. In October, the wineries in Napa and Sonoma are finishing harvest and both regions are beautiful. 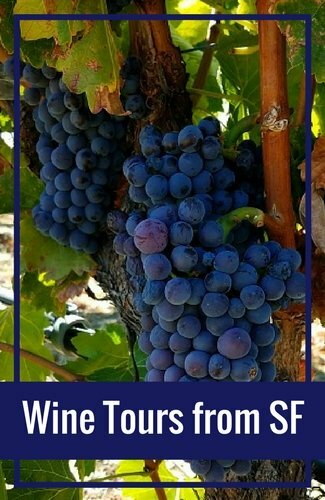 One of my favorite things to do in San Francisco in October is to hop aboard a tour and enjoy some of their tasty wines. You can also drive up on your own as each region is only about an hour away. Click here for more details on visiting these regions. Another option is to take a ferry over to Angel Island. It's only about a 40-minute ride away. On the island, you can hike, bike, or enjoy a guided tour to learn more about its history. Click here to learn more about this option. Yosemite is a little further, but still a great day trip option. If you've always wanted to see this gorgeous place in person, then this is your chance. 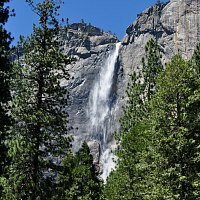 You can take a one-day tour (it's long, but worth it if you don't plan to return anytime soon) which includes transit to Yosemite and some time to explore. You can also rent a car and drive up on your own. Click here to book a one-day trip to Yosemite from SF on Viator. Did you know that there are hundreds of free activities and events in SF every year? While it can be an expensive place to visit, these free things to do in San Francisco in October can help stretch your budget a little further. I recommend that you first check out my favorite free things to do. It includes a list of free tours, activities, and hidden gems. Click here to check it out. 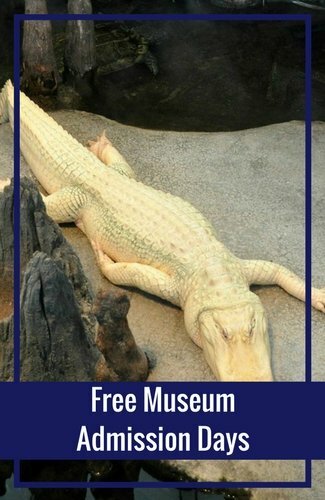 If you prefer to skip ahead to the free attractions, then you will find my 10 favorites here. These include the Palace of Fine Arts, Lombard Street, and Alamo Square. There are also plenty of free events this month. They include an airshow featuring the Blue Angels, a three-day bluegrass festival in Golden Gate Park, and so much more. 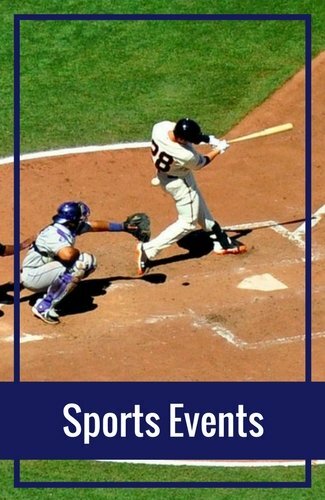 Click here for details on the free events in SF this month. 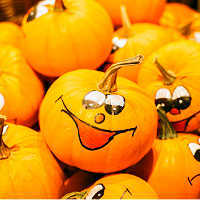 You will find dozens of fun things to do in San Francisco in October with the entire family. From free festivals to the SF Zoo, there are a wide range of options. Some of my favorites include the 7D Experience, the California Academy of Sciences, and the Fire Engine tour. The 7D Experience is located at Pier 39. This part video game, part thrill ride offers you the chance to work with the entire audience and rid the game of the bad guys. Each chair is equipped with its own laser gun and, when you see a bad guy on the screen, everyone works together to get rid of him. Each individual gets points and they offer videos for kids of all ages. You can also find a limited number of discounted tickets for this experience on Groupon. You can spend the entire day at the California Academy of Sciences. It's really four museums in one which allows you to experience new activities all day long. You can check out the 4-story rainforest, walk through the aquarium, get tickets to the planetarium, or visit the natural history museum. I also love the earthquake simulator where you can feel what it's like to be in a real earthquake. Click here to pick up your skip the line tickets on Viator. The final recommendation for fun things to do in San Francisco in October with the kids is the Fire Engine Tour. People send me feedback all the time about how much they love this recommendation. This 90-minute tour starts in Fisherman's Wharf, takes you through the Presidio, and over the Golden Gate Bridge (twice, of course, because you have to return to SF!). All of this is in a shiny, red, open-air fire engine (with blankets on board for those cooler SF days). You can find tickets to this ride here. >> Want more ideas? Find 25 ideas here! SF has almost 50 museums. They range from performing arts to world class art museums. Some offer you the chance to learn more about SF's history while others focus on a specific topic such as the Asian Art Museum, the Maritime Museum, and the Hyde Street Pier. 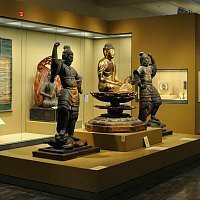 The Asian Art Museum features works from countries such as China, India, and Japan. You will find thousands of pieces here that date back thousands of years. They also attract some of the best traveling exhibits focused on Asia. The Maritime Museum focuses on the history of Fisherman's Wharf. This small, free museum is on the first level of the Argonaut Hotel. It has interactive exhibits that show you how this small fishing district turned into a playground for visitors. My final recommendation is the Hyde Street Pier. It's right across the street from the Maritime Museum and is home to several historic ships. You can either stroll along the pier for free or pay a few dollars to step aboard three of these beautiful ships. 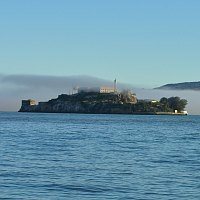 The three must see things to do in San Francisco in October include Alcatraz Island, the Golden Gate Bridge, and Pier 39. In addition, I have a few other recommendations that I think you will enjoy. 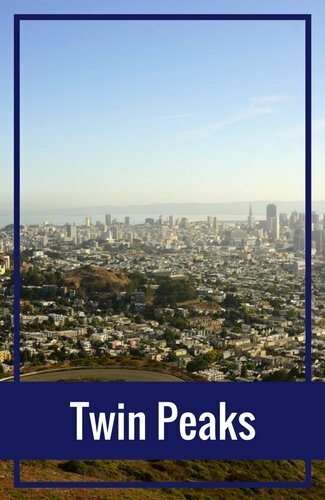 My three picks for this month include visiting Lombard Street, discovering some of our hidden gems, and strolling through town looking for colorful murals. 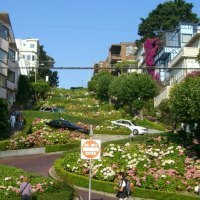 Lombard Street is one of the most crookedest streets in the world. It was designed in the 1800s to allow horses to more easily get down our steep hills. Today you will find a lovely brick road that twists and turns down one block of Lombard between Hyde and Leavenworth. You can also enjoy its beautiful flowers and the high-end houses that sit on each side of the street. It's free to visit. SF has so many famous attractions, but have you heard of the Columbarium, our mosaic staircases, or Hua Zang Si Buddhist Temple. These are just a few of our hidden gems. You will find them both in popular districts and those that don't get as many visitors. 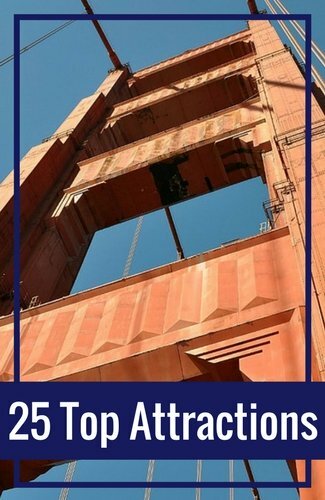 If you've been here before or like to stay off the beaten path a little, then check out my list of hidden gems all around SF. Another one of the fun things to do in San Francisco in October is to admire our murals. Street art is becoming more popular all around the world and SF is ahead of the game. We have more than 1,000 murals that you can see for free. Not sure where to find them? Click here to use my handy guide that gives you everything you need to find the more interesting pieces. 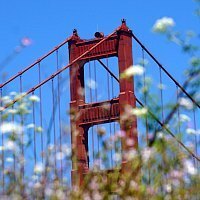 Are you still looking for a great place to stay to check out all of the fun things to do in San Francisco in October? If so, then I recommend looking here first. All three links below will show you the best hotels deals running during your stay! The nightlife in SF is like no other. 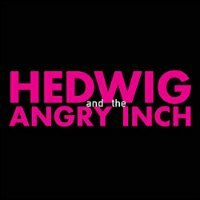 You will find everything from unique bars to Broadway theater productions. Any night of the week, you will find something fun to do here. One of the most popular things to do in San Francisco in October is to catch a live music show. SF has several great venues and most hold just a few thousand people. You will also find a few larger venues just outside SF and this is where you will find bigger name artists. Click here to check out the concert calendar for October. We also have several great comedy clubs. If you want to laugh all night long, then SF will not disappoint. You will find everything from well-known international names to local favorites. 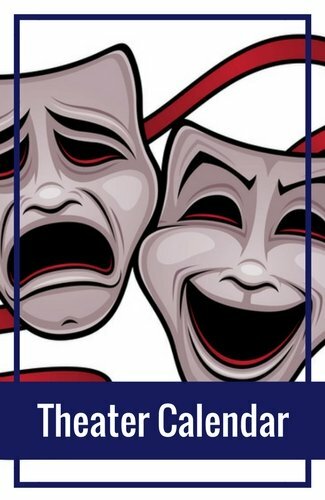 Click here for this month's comedy calendar. If you are just looking to grab a drink or two after work or a fun day of exploring SF, then you will find some great spots for happy hour. My list of favorites includes the best drink and food deals. Many start around 4pm and last until around 6 or 7. If you think we have a lot of attractions and other things to do in San Francisco in October, you might be overwhelmed by the selection of restaurants here. At any given time, there are around 3,500 restaurants in operation within the city limits. The variety is great too and you will find cuisines here that you can't find in very many other places. 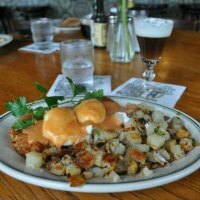 While you are here, make sure you head out for one large, tasty brunch. You will find everything from traditional meals to those that are unlike anything you've had before like Staw's (Hayes Valley) donut breakfast sandwich! Click here for my favorite places for brunch. SF also loves ice cream. We have so many delicious handmade ice cream companies that it's hard not to try it while you are here. Click here for a list of my favorites. Being so close to the water, another one of the best things to do in San Francisco in October is to try one of our seafood restaurants. From clam chowder to Dungeness crab, you will find so many great options. Here are my favorites. 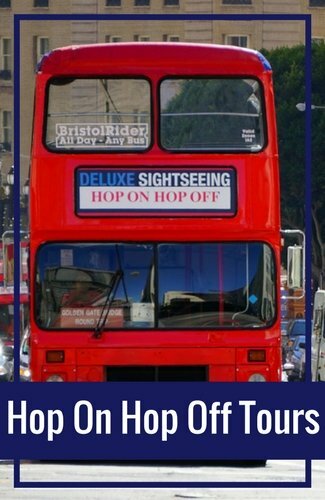 While heading out on a guided tour is a great way to learn more about SF, the city is so small that it's also possible to explore on your own. To make it easier for you, I've created several self-guided itineraries. They allow you to quickly get around and see as much as possible in a shorter period of time. My first recommendation for this month is my one-day itinerary. If you are only here for a short amount of time and want to see as much as possible, this is the itinerary for you. It includes visits to Alcatraz, the Golden Gate Bridge, and Fisherman's Wharf. Click here for more details. Another one of the fun things to do in San Francisco in October is to spend time in North Beach. This popular area offers so many fun things to see from Coit Tower to the Beat Museum. There are also several colorful murals and a few historic spots you do not want to miss. Click here for this one-day itinerary. My final recommendation is to visit both the Civic Center District and Alamo Square in one day. During this self-guided tour, you will visit the Asian Art Museum, SF's gorgeous City Hall, and end at the famous Painted Ladies. Click here for details on this option. Above I mentioned that you can save quite a bit on Goldstar (theater, tour, and event tickets). Another way to save is to check out these three options. The deals on Groupon range from event tickets to restaurant offers. It's a great place to save big. Most of the deals are for a limited time only, but offer deep discounts for a variety of things to do in San Francisco in October. If you want to relax and unwind during your stay, you will also find several local deals for activities such as spas, yoga, or pilates. 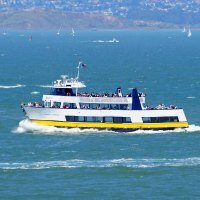 You can also head out on a bay cruise, enjoy the Exploratorium, or visit the Aquarium of the Bay. The GoCard allows you to build your own pass, so you can select just the places you want to see and how many days you want to take to see them. It's a great option for those that want to see as much as they can during their stay--and save too! Another discount pass is the CityPass. This one offers you access to four of the top SF museums, a multi-day Muni pass (our public transit system), and a ticket to an SF Bay Cruise. This one gives you options too. Everyone can visit the California Academy of Sciences. You can then choose between visiting the Exploratorium OR the SF Museum of Modern Art. 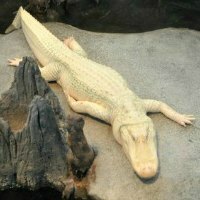 You can also visit the Aquarium of the Bay. This pass also includes unlimited rides on the cable cars, local buses, and light rail trains. 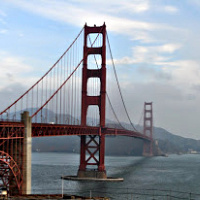 >> Save up to 49% on San Francisco's Muni and 4 other attractions with CityPASS. Shop Now! Another one of the fun things to do in San Francisco in October is to enjoy some of our local sports teams. This month, you will find professional football, hockey, and basketball games. You can also catch a college football game at either Stanford or UC Berkeley. We have two professional football teams in the Bay Area. The first is the SF 49ers. They play just an hour south of the city in Santa Clara. You can also catch a game with the Oakland Raiders. Just across the bay is another hot team right now, the Golden State Warriors. They have one of the best teams in the NBA and are SO fun to watch. The final two options are down south in San Jose. In October, the San Jose Sharks hockey team starts its season. You can also catch one of the final games of our local soccer team, the San Jose Earthquakes. From Fisherman's Wharf to the Haight Ashbury District, you will find so much personality in all of SF's top districts. One of the best things to do in San Francisco in October is to visit Chinatown, the Mission, and the Marina. Chinatown is a city within a city. This small, but busy district is home to thousands of people. A visit here includes a stop at our fortune cookie company, historic temples, and a chance to shop for inexpensive items. The Mission is where you will find a large concentration of colorful murals. It's also home to the oldest building in SF as well as a perfect place to grab some food. The Marina is where you will find more shopping, the Palace of Fine Arts, and the Fort Mason Center. You will also find some great nightlife and plenty of places to enjoy a nice meal. Many people come to San Francisco just to shop. 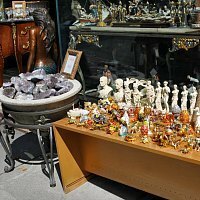 If you are looking for vintage or great used items, then head over to the Haight Asbury District. 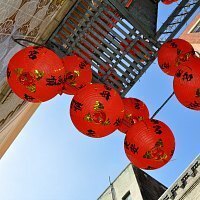 Chinatown is known for their inexpensive goods and Pier 39 is where you will find some local goodies. Union Square is also a popular choice. Right on the square, you will find large retailers such as Macy's, Tiffanys, and Sak's Fifth Avenue. You can also find a large Apple store, Nike, and Louis Vuitton. Just a few blocks off the square is where you will find some less expensive items in places such as H&M and Zara. Are you looking for ideas on what to wear in San Francisco in October? If so, then you've come to the right place. The weather in SF this time of year is warm and sunny. The highs are in the mid to upper 60s most days. At night, the temps dip down into the mid to lower 50s. I recommend that you come dressed in layers. I recommend short sleeved shirts with a light weight jacket or sweater to go over it. I also recommend pants or jeans as it's often a little too cool for shorts. If you plan to head out on the water, either over to Alcatraz or just on a cruise, grab something just a little heavier as it does get even cooler on these trips.